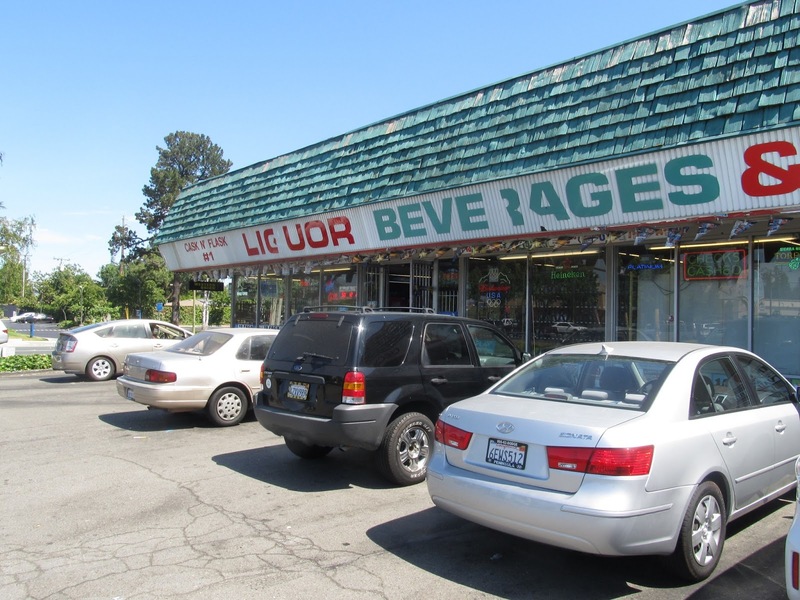 From the outside, it looks like one of a zillion unassuming liquor stores found all over the South Bay in tired strip malls. 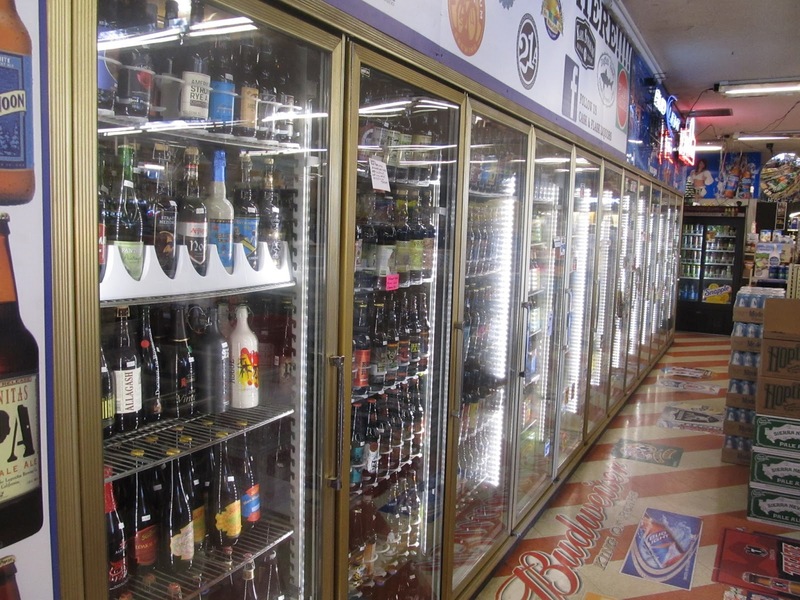 Venture inside the Cask and Flask #1 and you’ll quickly realize you’ve stumbled upon one of the finest beer bottle shops in all of the Bay Area. 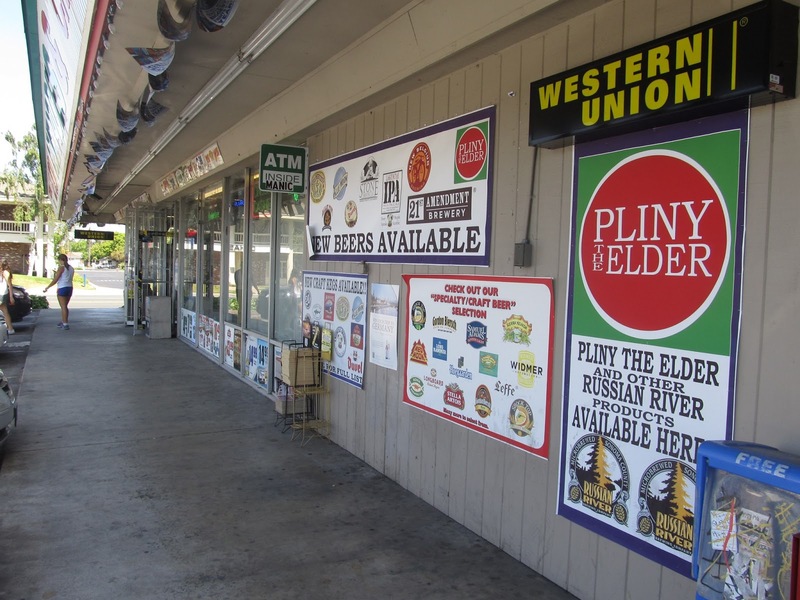 Their selection ranges from a wide mix from Northern California’s breweries, far away notable domestic craft beers from places like Massachusetts’s Clown Shoes and Oklahoma’s Prairie Artisan Ales, and plenty of fantastic European imports. Somehow these examples of the world’s finest brewing coalesced at the Cask and Flask which, from the looks of it, has little more to offer than a 40 ouncer of cheap malt liquor. Located at the corner of Leigh and Camden Avenues in San Jose’s Cambrian neighborhood, I actually lived a block away from the Cask & Flask eight years ago. I was going through my divorce and desperately needed a place to stay. Any place where my ex-wife wasn’t around to fight would do. I saw an ad for a room specifying among other things, “No Republicans”. Since politics was one of numerous things my ex-wife and I either argued about or avoided talking about altogether, it seemed like a promising place to escape. The room turned about to be in a house owned by a quiet, slightly unkempt man in his fifties named Eric. Eric was into New Age music and wrote books on astrology. He requested my birth date, down to the exact minute, to make an astrological forecast to see if I would be a compatible tenant in his house. I suspect the two month’s rent I paid him without hesitation during our first meeting helped the planets align in my favor, and I quickly passed his celestial background check. Eric’s place was a bit weather beaten and smelled a little funky, but served as a good refuge during those turbulent times. Calming New Age music constantly emanated at all hours from the closed door of his room. Eric let me keep few things in his fridge, but initially prohibited any alcohol. Over time, he began to relent on this restriction after polite requests to store a few beers in his fridge, most likely because I paid my rent on time. Eric told me “I don’t want to tell people how to live their lives, but I don’t want any drunks in my house”. Figuring this meant I could keep a few beers in his fridge, some nights I’d walk down to the Cask and Flask and pick up a six-pack of something. I wasn’t into craft beer back then, so it was usually Miller Genuine Draft, Rolling Rock, or Gordon-Biersch when I got bit wild and crazy. I certainly don’t remember many imports or odd bottles from breweries I never heard of at the Cask & Flask back in those days. They just had the standard brews you could find anywhere. After a living there for a little more than a year, I finally informed Eric I was moving out. Telling him his home was “a place of healing” during a difficult time in my life as handed him my last rent check, deep down I was dying to find my own place. A place where I could blast The Ramones from my stereo and stock up my own fridge with as much beer as I wanted. And besides, some of my best friends are Republicans. So I moved into a small studio apartment, and among other things, began to discover the endless variety and possibilities of craft beer. I stopped settling for the unsatisfactory and life has gotten a lot better since. Seems like the Cask and Flask #1 has gone through a similar metamorphosis, transforming itself from an anonymous liquor store to a go-to craft beer destination. Obviously someone there wants this place to be a lot more than a typical liquor store. I just hope the Cask and Flask #1 keeps on being extraordinary.